Custom Die Cast Keytags & Keychains offer economical promotional and branding with a high perceived value. Choose from a variety of metal finishes and enamel colors to duplicate logos and marketing messages in exquisite detail. Ideal for real estate, travel or automotive themed promotions, college and university stores, or gift shops. Add key chains to new hire employee welcome kits or use as a giveaway at university recruitment events. 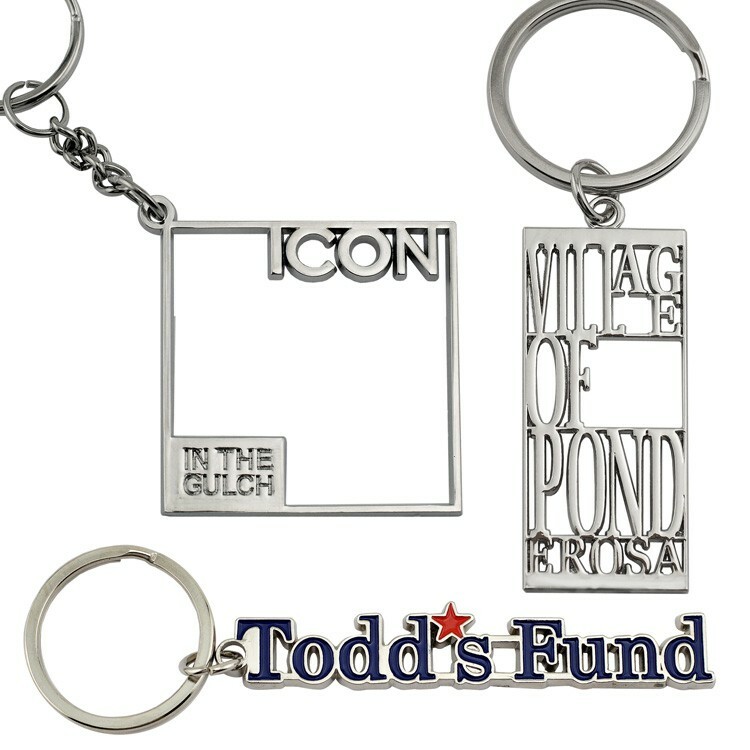 * Includes custom shape die cast key tag emblem with a 2-D design. 3-D designs available and quoted upon request. * No tooling charge for pierced or cutout areas of design. * Your choice of bright brass, copper, nickel, black nickel, antique brass or antique copper finishes. Other finishes available, QUR. * Includes up to 4 optional soft enamel colors with FREE PMS color match. * Split Keyring attachment #902 or #903 included in pricing. * Variety of other key ring and key chain styles available. * 4 week standard service, rush service available. Die cast key chains are perfect for schools and university, auto dealers, real estate, insurance or travel agents, or souvenir gift shops.